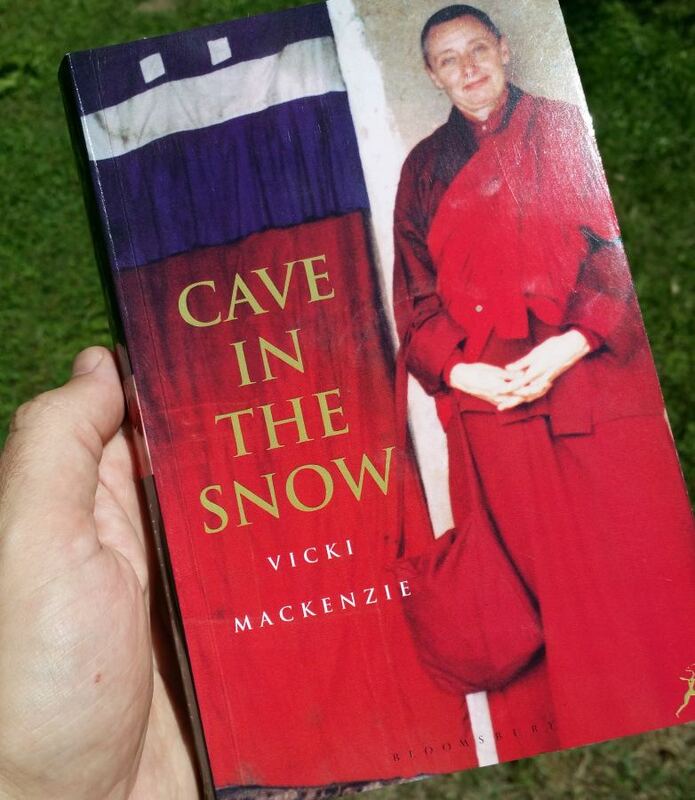 The above excerpt is from the book, Cave in the Snow, by Vicki Mackenzie. It tells the story of Englishwomen Diane Perry, the daughter of a fishmonger from London, who became a famous Buddhist monk and champion for the rights of women to achieve spiritual enlightenment. After studying many different religious beliefs, Diane Perry was drawn to Buddhism, while living in London. But it took her a while to recognize that her calling was a specific style of Tibetan Buddhism, which was not so popular when she began her research. While still in London, the calling she had was to Kargyupa — less known about; Perry heard its name from a voice in her head, something that would begin to occur quite often in her lifetime. She had to find her teacher — her Lama — which also took some effort, and a lot of travel. Perry moved to Dalhousie in northern India, near the foot of the Himalayas to work with Tibetan refugees pouring in at that time. Later, the center moved to Dharamsala where the Dalai Lama is now based. In 1964 while at Dalhousie, she met her Lama, Khamtrul Rinpoche (below). She had fear around looking at him when she first prostrated herself down. When she did though, they immediately recognized each other. He always said to her “You are my nun,” and would laugh in a unique and personal way whenever she came back from her journeys away from the Ashram. When a high enlightened Lama dies, his body does not decay, but in fact shrinks — even disappears in some cases, except for the hair and nails. In the case of Tenzin Palmo’s teacher, the Tibetan name Perry took on, his body shrank to 18 inches in length within a week, and he was a very big man. After he died he left a card. The words encoded were of his next incarnation’s parents. His disciples deciphered this in time. High enlightened lamas are reborn right away. They make a pledge to help those trapped in the cycle of birth and death so they can escape it. One of Khamtrul Rinpoche’s disciples dreamt that he met with the Lama and found the name and place of his rebirth, which was in India. Using the information from that dream, they searched and did find the baby, bringing him to the Buddhist center. This was a quiet boy, quite different in nature to his predecessor, but he had the same knowing look. 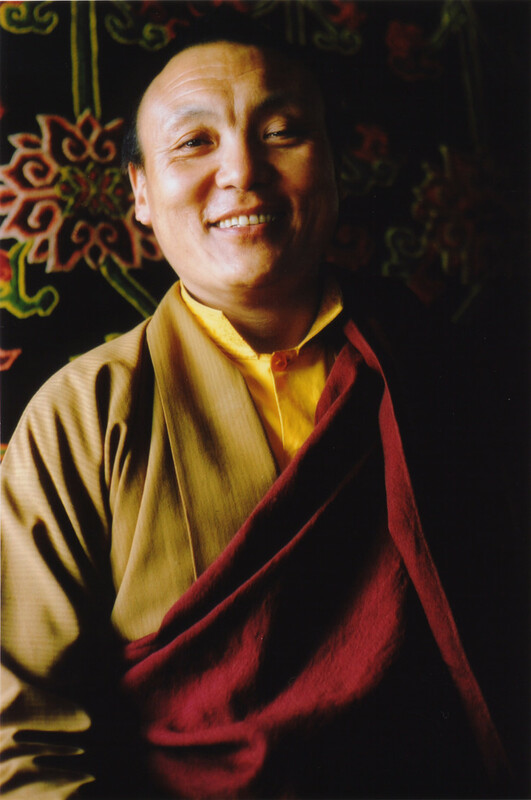 He was three years old when Tenzin Palmo (Diane Perry) first saw him. She approached the meeting with trepidation thinking that he would be afraid of this strange western woman, and that he would cry. He then began giving her his toys, so she spent the whole morning playing and running around with him. The attending monk said that this was very unusual behavior for him as he was generally very shy and withdrawn with strangers. In 1976, Tenzin Palmo cut herself off from the world, after entering a remote secluded cave, thirteen thousand feet up in the Himalayas. She spent twelve years there meditating, while facing the unimaginable cold, avalanches and wild animals, growing her own food and sleeping in a traditional three-foot square meditation box. Her goal was to attach enlightenment as a woman. This is her story. In Kathmandu, Tenzin Palmo was given the rare title of Jetsunma back in February 2008 (see the photo at the top), by his Holiness the 12th Gyalwang Drukpa, head of the Drukpa Kagyu lineage. Jetsunma means Venerable Master. 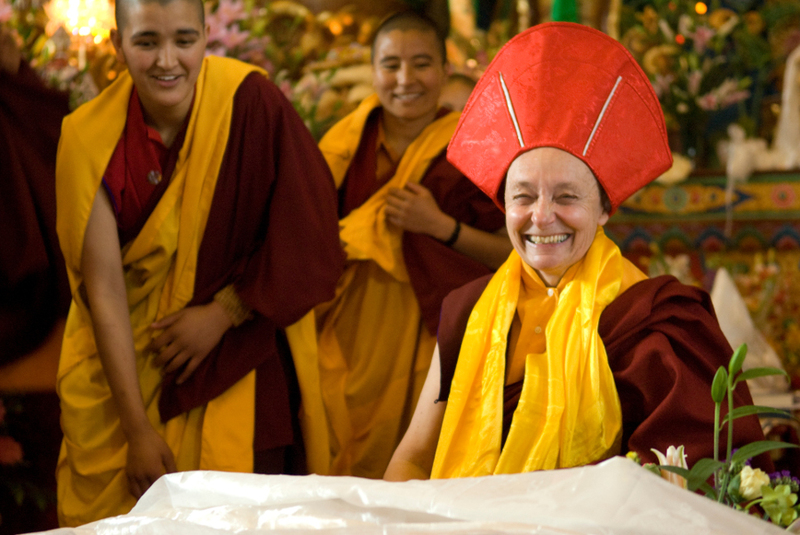 This title was in recognition of Palmo’s spiritual achievements as a nun and for promoting the status of female practitioners in Tibetan Buddhism. Subscribe to receive email alerts about future articles written by Laron via his site site laron.nz right here.